Balance Sheet is a statement which exhibits the company’s financial position on a specific date, by listing out the assets, liabilities, and capital. It is used to denote the ownership and owings of the company, at a given point in time. It plays a pivotal role in indicating the financial health of the entity, to help the users of the statement to take rational decisions. It is not exactly same as a consolidated balance sheet. Consolidated Balance Sheet is prepared when the details of ownership and owings of the holding company and subsidiary company listed out in a combined form. 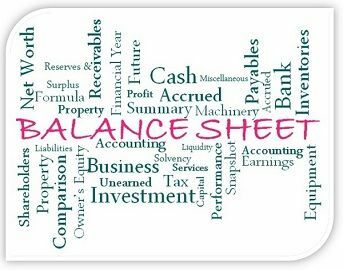 In this article excerpt, you will find all the important differences between balance sheet and consolidated balance sheet. Meaning Statement that shows the financial health of an enterprise. A statement that shows the financial condition of the parent company and its subsidiaries in a combined way. Prepared by Every entity. Only those companies which are having subsidiaries. A Balance Sheet is a summary of the financial position of the company at a given point of time. It is an important part of the financial statement along with the income statement and statement of cash flows. The Balance Sheet reflects that how efficiently the funds of the entity are utilised to attain the maximum advantage. The Balance Sheet is used as a tool to analyse and evaluate the liquidity and solvency of the concern. Moreover, it is also used as a metric to compare the past and present performance of the enterprise along with forecasting its future possibilities. In general, the Balance Sheet is prepared at a specific date which is usually the end of the accounting period i.e. 31st March. However, the company may also prepare it – quarterly or semi-annually. When the assets and equity & liabilities of a holding company and its subsidiaries are put together in a single document, then the document is known as Consolidated Balance Sheet. To put it in an easy way, it is a consolidation of the balance sheet of the parent company with its subsidiaries. The Consolidated Balance Sheet is prepared like a typical Balance Sheet, i.e. as per Schedule VI of the Indian Companies Act, 1956, but there is no distinction made as to which asset or liability belongs to which particular company. It is a compact and true picture of the financial position of the whole group. It is prepared at a specific date, which is usually the end of financial year. The Balance Sheet equation will be same as given above (in Normal Balance Sheet). Now, what you might be wondering, what the holding company and subsidiary company is? A company which holds more than 51% of total share capital or it controls the composition of its Board of Directors (BOD) i.e. it has the right to appoint or remove the directors in any other company is known as the holding company. The company whose more than 51% share capital are held by another company or whose composition of BOD is controlled by any other company is known as the subsidiary company. For Example A Limited owns 53% shares in B Limited. In this situation, A Limited is holding company while B Limited is a subsidiary company. A Balance Sheet is a statement of financial position of an individual company while the Consolidated Balance Sheet is a statement of financial position of the more than one company of the same group taken together. A stand alone Balance Sheet explicitly mentions the assets and liabilities of the entity, whereas the Consolidated Balance Sheet does not separately specify as to which assets belongs to which company. The preparation of the Balance Sheet is comparatively easier than the preparation of Consolidated Balance Sheet. Balance Sheet could be prepared by every company, whether it’s a sole proprietorship or a corporation while the Consolidated Balance Sheet could only be prepared by the company which has subsidiaries. The preparation of the Balance Sheet is mandatory for every organisation as it is an important part of the financial statement. It is a concise summary of the company’s performance, profitability, liquidity, and solvency. It is at the discretion of the company as to use a stand alone Balance Sheet or a Consolidated Balance Sheet. Both are important at their place like if you want to know about the overall performance of the whole group then you must prefer Consolidated Balance Sheet. Conversely, if you want to know the individual performance of each and every company, then you must go for a stand alone Balance Sheet. Thanks a lot for your nice topic.